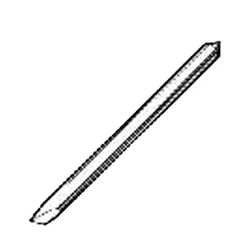 30 degree - Substitute for Mutoh 300936 30 degree plotter blade. For best results, use for cutting on 2-4 mil materials with an offset of .021. 45 degree - Substitute for Mutoh 300937 45 degree plotter blade. For best results, use for cutting on 4-12 mil materials with an offset of .021. 60 degree - Substitute for Mutoh 300938 60 degree plotter blade. For best results, use for cutting on 12+ mil materials with an offset of .021.